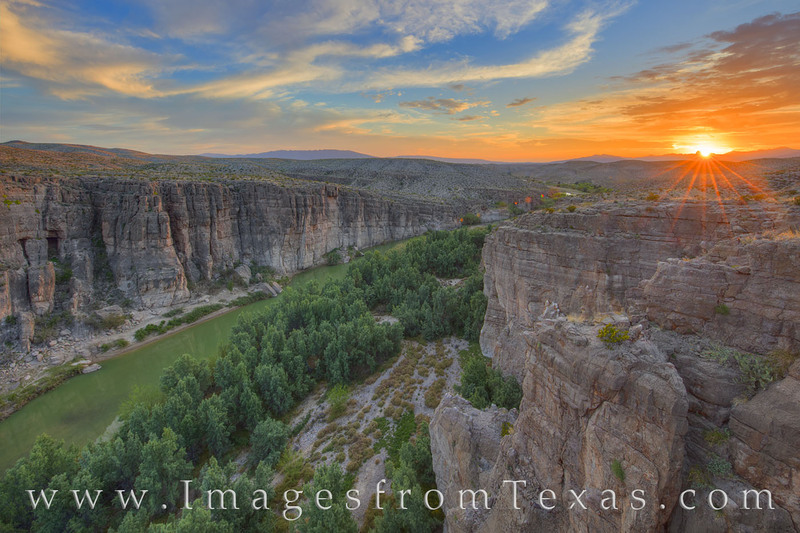 From a cliff high above the Rio Grande, the sun sets in the west at the mouth of Hot Springs Canyon. The sky is alight with oranges and blues, and the air calm and clean. Across the river, the cliffs on the Mexican side of the border rise hundreds of feet high. This is one of the views from the short 3-mile Hot Springs Trail. Photo © copyright by Rob Greebon.